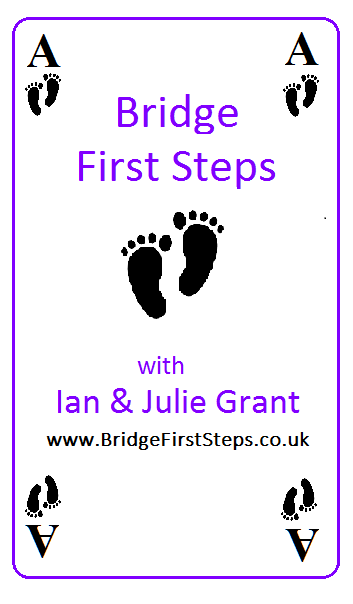 is the operating name for the Bridge lessons provided by Ian & Julie Grant. What personal data does Bridge First Steps collect? The data we routinely collect includes students’ names, telephone numbers and email address. We use students’ data for the administration of your learning program; the communication of information, and the organisation of events. Your personal data is not passed on by us to any other organisation, whether or not connected with bridge. Data for our students comes from them when they join our teaching program. This information is mainly stored in digital form on our computers and in the form of written documents stored at our home address. Under the GDPR (General Data Protection Regulation) we do not have a statutory requirement to have a Data Protection Officer. Ian & Julie Grant are jointly responsible for ensuring Bridge First Steps discharges its obligations under the GDPR. Your teachers have access to students’ data in order for them to carry out their legitimate tasks for the organisation. Bridge First Steps collects personal data that is necessary for the purposes of its legitimate interests of the organisation and in order to teach students the game of bridge. If you want to see the basic data we hold about you, you should contact Ian or Julie Grant. Does Bridge First Steps collect any “special” data? We do not record any such special data of these categories. · You could maintain your studentship with your correct name but with limited contact details. However, we do need to have at least one method of contacting you. · You may choose not to receive information emails from Bridge First Steps (we do not send any out on behalf of other organisations). However, you would not then receive the lesson notes or hand records. Any of these options can be implemented for your studentship by contacting Ian or Julie Grant. We normally keep student data after they finish their learning program in case they later wish to re-join. However, we will delete any former students’ contact details entirely on request. We normally keep students’ information after they die. If requested by their next-of-kin to delete it we will do so on the same basis as when requested to remove data by a former member.